Pilgrims of Haj and Umrah, Foreign mission visitors, Diplomats, Guests of the state are exempt from paying medical insurance with visa. 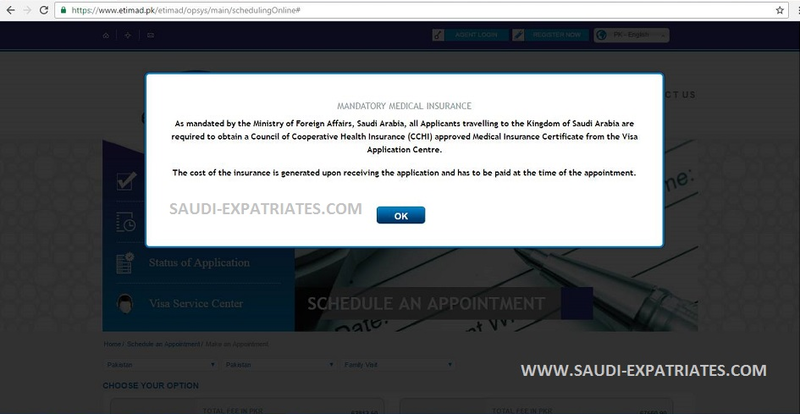 "As mandated by the Ministry Of Foreign Affaris, Saudi Arabia, all applicants travelling to the Kingdom of Saudi Arabia are required to obtain a Council of Cooperative Health Insurance(CCHI) approved Medical Insurance Certificate from the Visa Application Center." 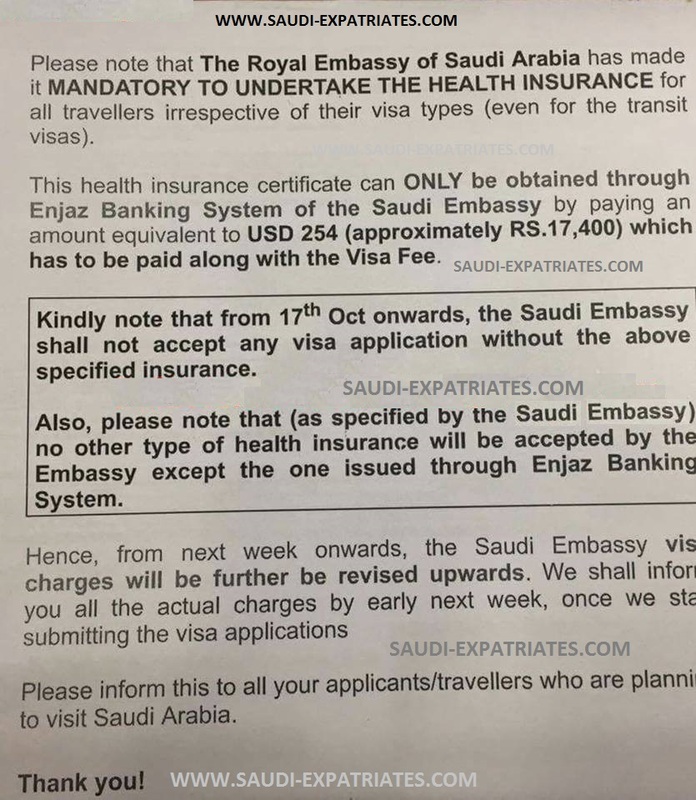 - This health insurance certificate can only be obtained through Enjaz Banking System of the Saudi Embassy by an amount equivalent 254$, which has to be paid along with Visa Fee. 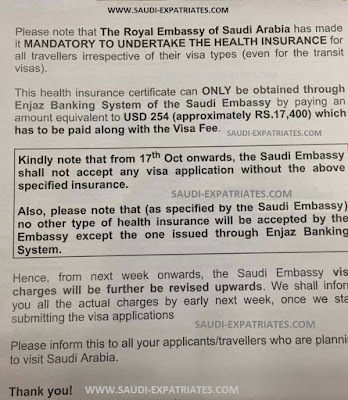 - Kindly note that from 17th October 2016 onward, The Saudi Embassy shall not accept any visa application without the above specified insurance. 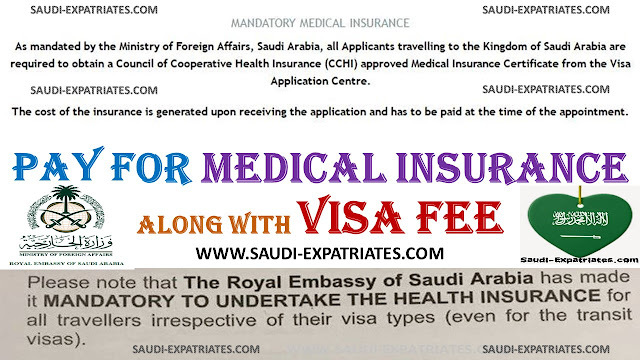 - Hence, From now onwards, The Saudi Embassy visa charges will be further be revised upwards. We shall inform you all the actual charges by next week, Once we start submitting the visa applications.